Researchers at FIU’s International Forensic Research Institute (IFRI) have been awarded $1.5 million from the National Institute of Justice (NIJ) to further research in drug exposure detection, forensic chemistry, synthetic cannabinoids and DNA analysis. The combination of five grants and two fellowships totals the most NIJ awards given to a single institution in 2015. Almirall and fellow IFRI researchers Anthony DeCaprio and Bruce McCord share the grants. 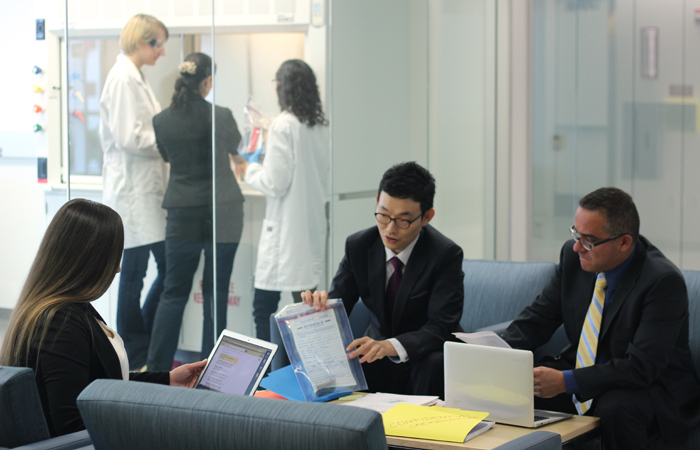 The fellowships were awarded to chemistry professor Yi Xiao‘s research group to study rapid on-site screening of synthetic cannabinoids in seized substances and biological samples, and to McCord’s research group studying DNA methylation — the modification of a strand of DNA after it is replicated — for identification of body fluids. Almirall’s research focuses on improving forensic chemistry by evaluating and validating profiling methods for tape evidence forensic testing and improving the interpretation of glass evidence. He hopes to later include other types of trace evidence materials in his research. DeCaprio’s research will focus on using protein modification to provide a longer window of detection for illicit drugs. Currently, this method is exclusively used to assess exposure to environmental and occupational chemicals — its use to determine markers of illicit drug exposure is virtually non existent. DeCaprio’s work with this grant can revolutionize drug testing methods. In addition to illicit drugs, researchers at IFRI are working to stay ahead of the designer drug craze. Synthetic cannabinoids (SCBs) are widely used as an alternative to marijuana, but much more potent and sometimes deadly. With more than 1,000 distinct chemicals in SCBs and new compounds constantly emerging, it is very difficult to regulate them due to a lack of reliable screening methods. Xiao’s research group is trying to develop new and effective on-site screening methods for SCBs which could be a significant step in regulating SCBs and other designer drugs. In the area of DNA analysis, McCord is working towards a rapid method of screening crime scene samples on site. Current DNA typing methods provide biometric information that can lead to a positive identification, but they can take up to 90 minutes to process. McCord’s method has the potential to produce genotypes in under six minutes. 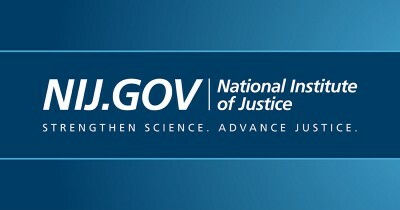 With the support of the NIJ, researchers at IFRI have the opportunity to advance forensic science research and make ground-breaking contributions to law enforcement and policy. Super happy to see FIU engaged in such interesting research. I am proud to be an FIU student.